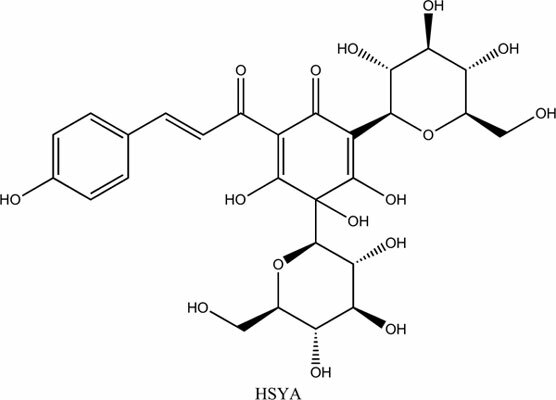 Background and Objective: Hydroxysafflor yellow A (HSYA) was reported to suppress inflammation in ischaemic microglia. However, the mechanism through which HSYA inhibits inflammation caused by cerebral ischaemia and reperfusion injury remains unknown. Here, we have mimicked acute cerebral ischaemia and reperfusion injury by subjecting male Sprague-Dawley rats to transient middle cerebral artery occlusion for 90 minutes and have demonstrated that toll-like receptor 9 (TLR9) was upregulated from day 3 after reperfusion, accompanied by the persistent activation of the pro-inflammatory nuclear factor-κB (NF-κB) pathway from 6 hours to day 7. HSYA was injected intraperitoneally at a dose of 6 mg/kg per day, which activated TLR9 in microglia of ischaemic cortex at 6 hours after reperfusion and then obviously suppressed the NF-κB pathway from day 1 to day 7. Meanwhile, HSYA also activated the anti-inflammatory pathway through interferon regulatory factor 3 from day 1 to day 3. The anti-inflammatory effect of HSYA was partially reversed by TLR9-siRNA interference in primary microglia, which was stimulated by oxygen-glucose deprivation and reoxygenation treatment. The regulation of TLR9-mediated inflammation by HSYA was consistent with the recovery of neurological deficits in rats. Conclusion: Therefore, our findings support that HSYA exerts anti-inflammatory effects by reprogramming the TLR9 signalling pathway during treatment of acute cerebral ischaemia and reperfusion injury. Hydroxysafflor yellow A, toll-like receptor 9, ischaemia, microglia, inflammation, cerebral.